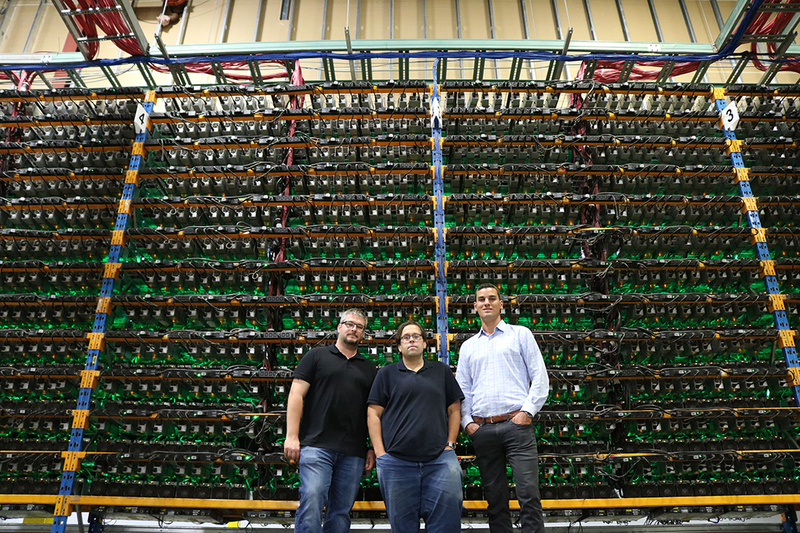 Canadian-Israeli cryptocurrency mining company Bitfarms has announced the public launch of a new bitcoin (BTC) mining pool. The new pool is offering an special introductory offer of zero fees for life for clients with more than five terahash of hashing power. Bitfarms had previously stated in mid-September that it had launched a new pool and begun using it for its own mining machines, but it wasn’t made available to the public. Prior to that, Bitfarms had been participating in mining pools operated by other companies. In terms of mining fees, Bitfarms is making a generous offer: those joining before November 15th with more than five terahash of hashing power will pay zero fees to Bitfarms for life. For those with less than five terahash or who join after November 15th, the normal fee rate will apply, which is one percent on both pay per share (PPS) block rewards and transaction fees. The crypto mining company operates four facilities in the Canadian province of Quebec using 27.5 megawatts of electricity to mine bitcoin, bitcoin cash, Ethereum, litecoin, and Dash. It released its financial results for the first six months of 2018 at the end of August. The company made a profit, reporting net income of $4.9 million USD on consolidated revenues of $22.3 million. The new mining pool may cheer investors, as it will provide a new revenue stream for the company via the fees generated from miners who choose to hook up to Bitfarms Pool. Up until now, the company has relied primarily on crypto mining to generate revenue. The low rates of electricity in Quebec has made the province an attractive destination for crypto mining companies and led public utility company Hydro-Quebec to put in place curbs against new entrants. There was a recent controversy surrounding that decision. The president and founder of Bitfarms, Pierre-Luc Quimper, said in a press release that the company is looking to become “a fully vertically integrated blockchain company” and that the creation of the pool is a step towards that goal. 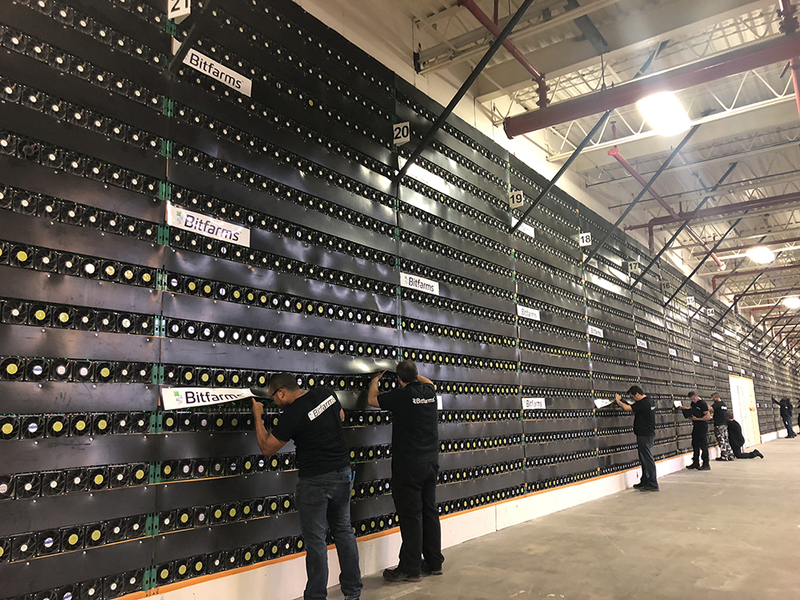 Bitfarms mining facility in southern Quebec, Canada. 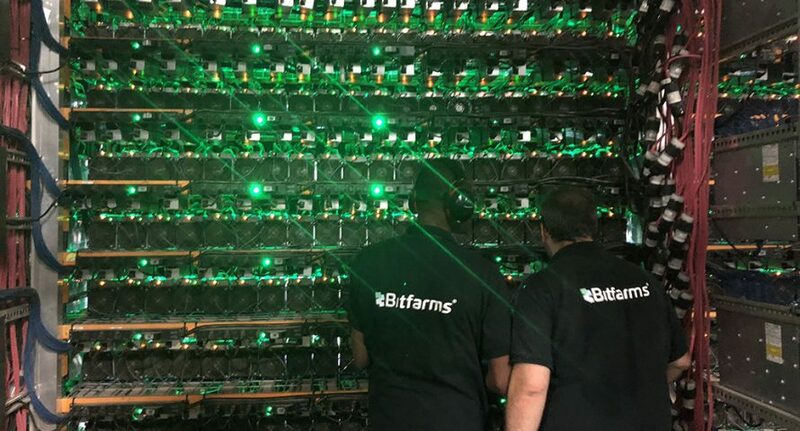 Bitfarms, which began under the name of Backbone Hosting Solutions, was founded by Canadians Pierre-Luc Quimper and Mathieu Vachon, who began mining bitcoin and other cryptocurrencies several years ago. Quimper had already founded data center business GloboTech in 1999, which he still runs to this day. The duo partnered up with Argentinians Nicolas Bonta and Emiliano Grodzki and began focusing exclusively on crypto mining in 2017. In April of 2018, the firm merged with an Israeli shell company in order to gain a listing on the Tel Aviv Stock Exchange, where it now trades under the ticker BLLCF.TA. The company has been very hands-on with its operations, buying its own electrical services company and creating a microelectronics lab so it can repair its own mining machines, which are mostly Bitmain-produced Antminers. It appears the company took the same tact with the creation of the new pool. Quimper said that it was custom built with the company’s own developers, who are experienced at building and maintaining IT infrastructure. Have your say. 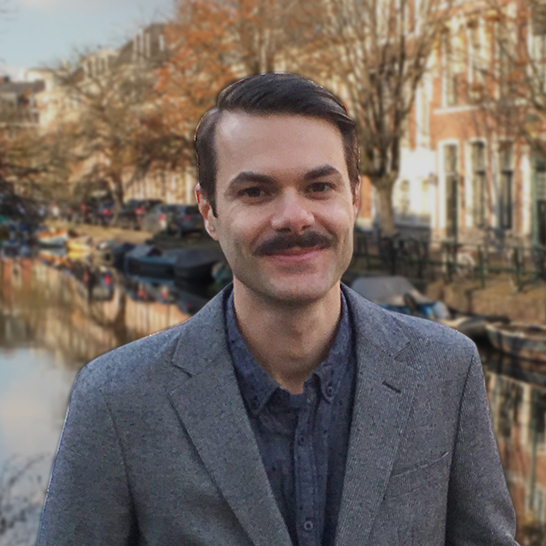 Does Bitfarms Pool sound attractive to those crypto miners out there?